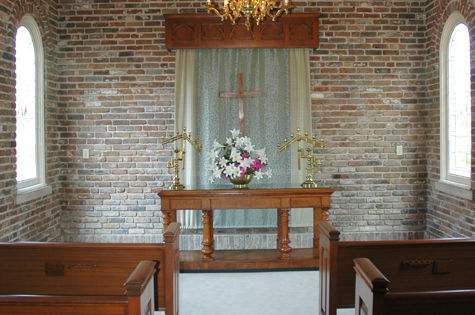 During the Bellingraths’ time, the roads from Mobile to their home were not paved, making traveling to and from Sunday service a huge undertaking. 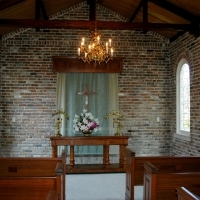 Therefore, the Chapel was designed for religious services for the Bellingraths and their guests. 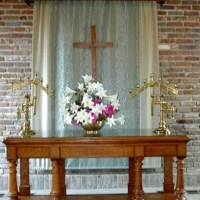 The leaded glass windows feature seasonal flowers. 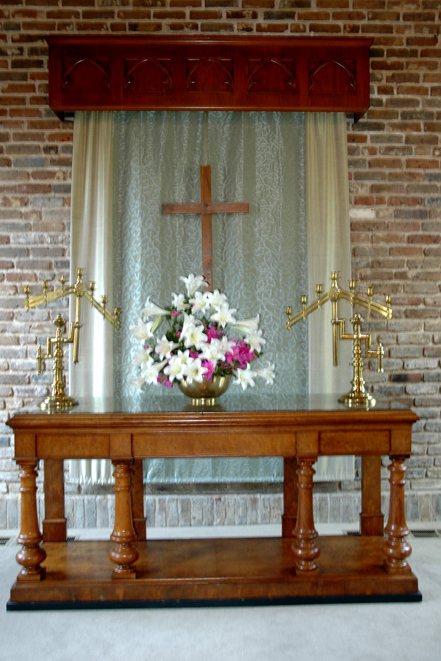 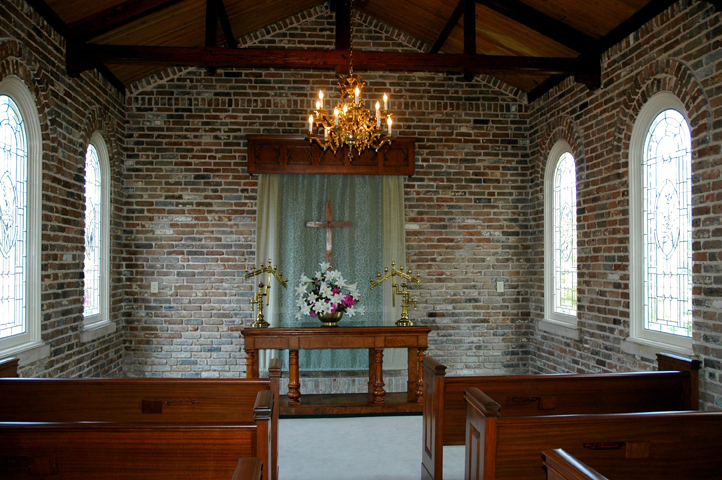 Today, the Chapel is often used for intimate wedding ceremonies.